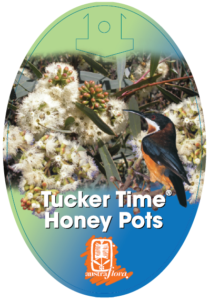 The nectar flow from Eucalyptus Honey Pots, a small tree or multi-stemmed mallee, is so strong over summer and autumn that it truly is ‘Tucker Time’ for honey-eating birds and small wrens and tree-creepers. With an ever-drying climate predicted, small trees with low water requirements will be in higher demand than ever for gardens of all sizes. 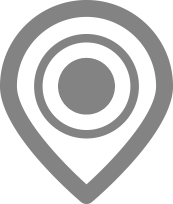 Put simply, gardens need trees ~ for screening, light shade, structure and habitat, and evergreen to act as year-round carbon collectors. 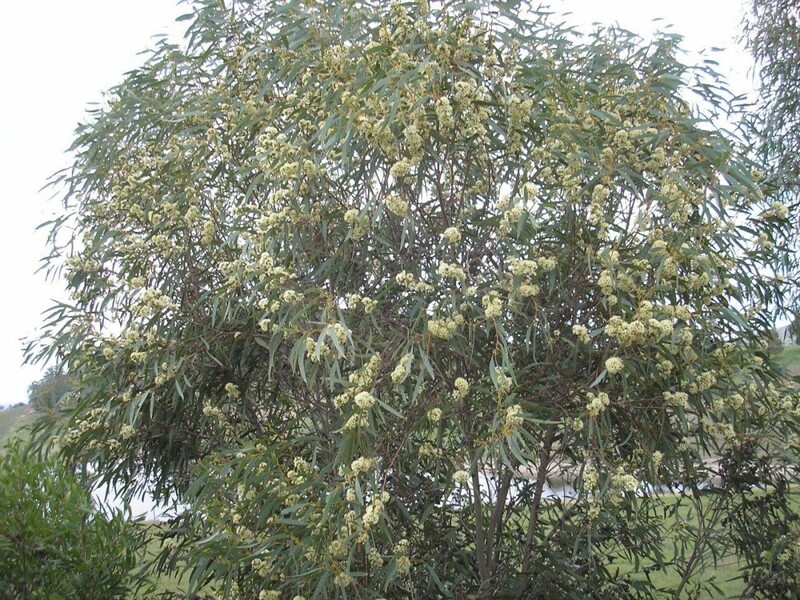 At 4-5 metres in height Eucalyptus Honey Pots won’t take up very much room and because it will flourish in cool temperate, sub tropical or semi-arid climates, withstand heavy frost and coastal breezes it’s a great little a multi-purpose tree for much of Australia.